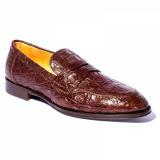 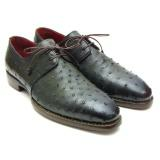 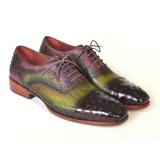 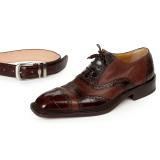 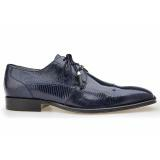 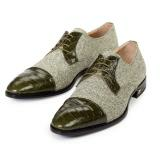 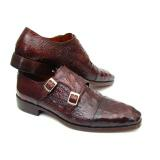 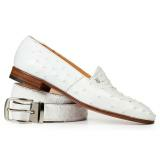 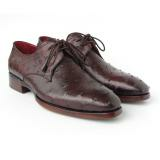 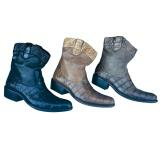 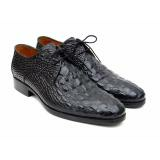 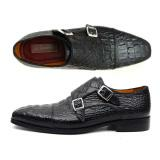 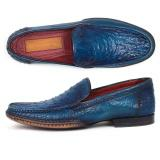 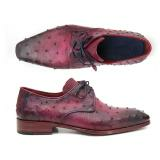 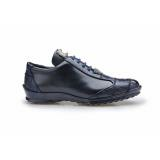 At MensDesignerShoe.com we pride ourselves in our incredible selection of mens exotic shoes. 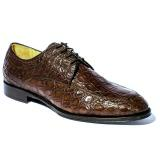 Shop one of our many luxury exotic brands, and find the perfect exotic shoes for your wardrobe. 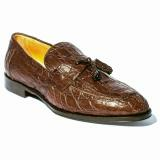 Not every man can pull off wearing exotic shoes. 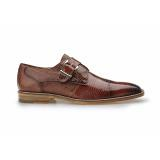 It's a special breed of confident men that truly care about the impression they are giving when they walk in the room and the strength they're potraying with their overall look, that venture into this genre of footwear. 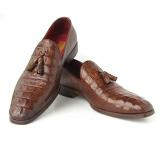 If you are one of those, you know that you have a responsbility to adorn your feet with only the finest high quality mens exotic shoes. 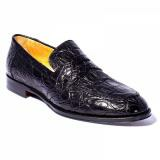 It's easy to spot a fake crocodile shoe from across the room. 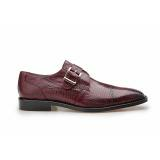 Don't be that guy. 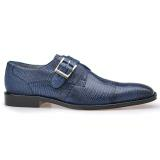 You don't have to be that guy. 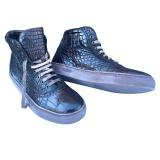 There are a number of brands on the market today that offer extremely high quality genuine exotic skin footwear at very reasonable prices. 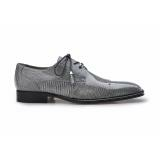 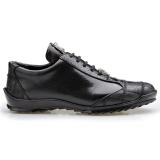 Take brands such as Zelli shoes, or Alan Payne shoes. These are manufacturers of imported luxury footwear for a man who cares about his wallet. 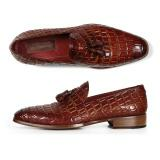 You'll find crocodile skin lace ups and loafers, beautiful ostrich mocassins, and exotic boots to die for within their collections. 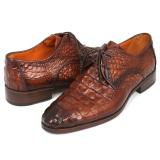 If you're going to where exotic shoes, do it the right way. 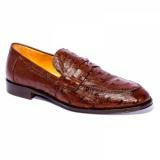 Wear something that reflects well upon you, and your style, something that you can take pride in putting on every day.